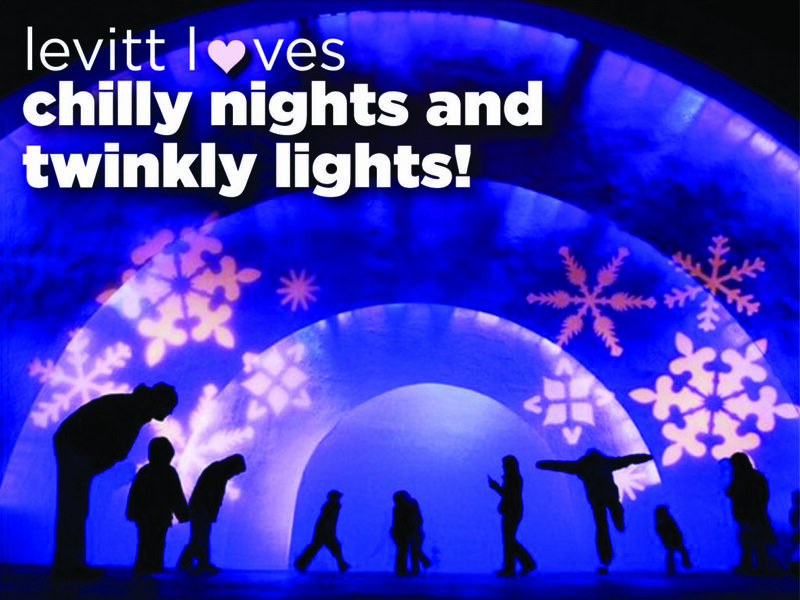 Levitt loves…chilly nights and twinkly lights! Brooks Museum’s Light Festival finale at Levitt Shell in Memphis. It’s Friday afternoon AND it’s the first day of the twinkliest month of all—what’s not to celebrate? Whatever types of festive gatherings this month holds for you, your friends and family, we hope you find some calm during this busy season and remember to soak up every twinkly wonder surrounding you. This entry was posted in Holidays, Levitt Loves and tagged Levitt Shell Memphis on December 1, 2017 by Nicole McGaffey.